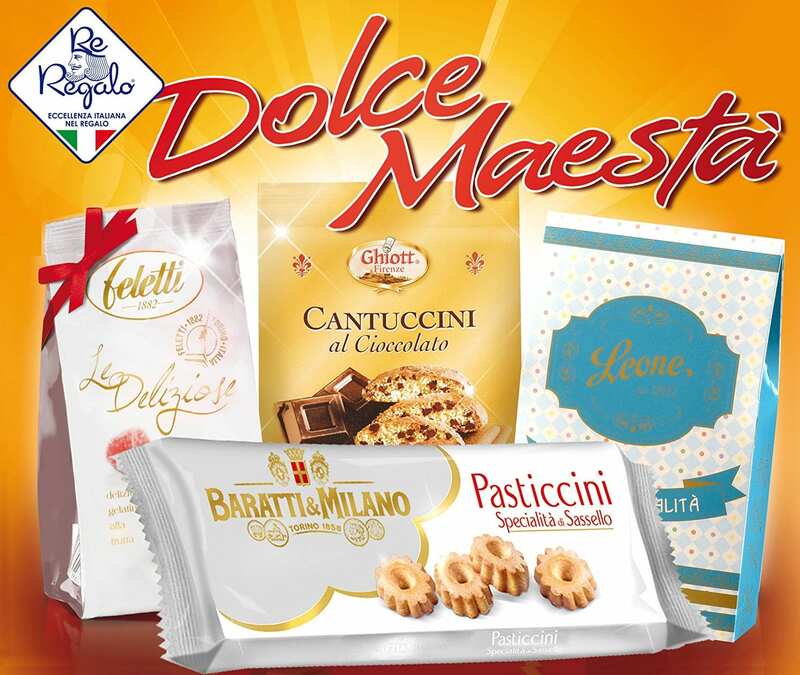 The Dolce Maestà Hamper contains a selection of sweets, certified and quality products. 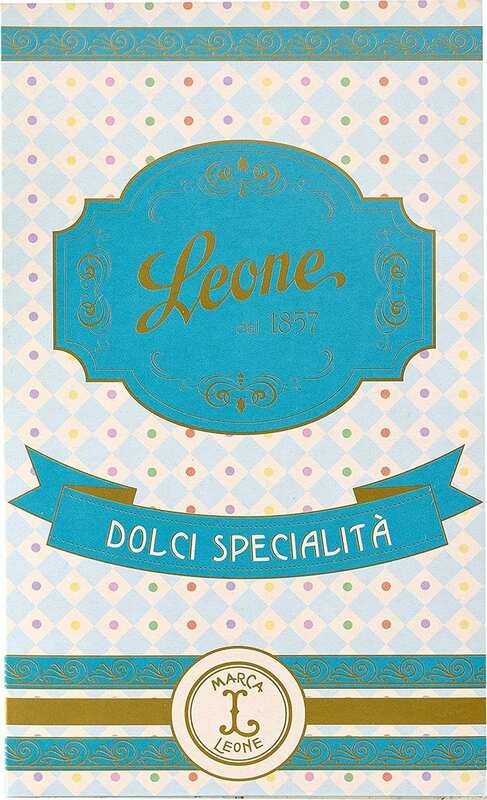 The Dolce Maestà Hamper contains: a case of assorted candies Leone 80 gr, a bag of fruit jellies Feletti 80 gr, a bag of chocolate “Cantuccini”: Tuscan almond biscuits with chocolate drops Ghiott 90 gr, and a tray of pastries Baratti 135 gr. 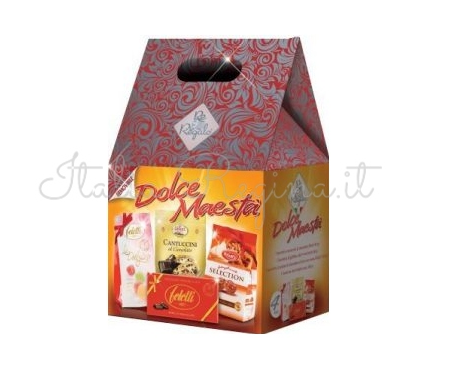 Cusp lithographed box with “Damasco” design, silver and red background. ReRegalo born with a specific goal: bring Italian quality products on the shelves of supermarkets and hypermarkets. For 30 years of activity producing gift baskets, the company Re Regalo have knew that it’s difficult to create that joy in the eyes of receiving a gift as in the special time of the year. In fact, the markets are full with undifferentiated solutions but, they don’t represent the idea of gift. 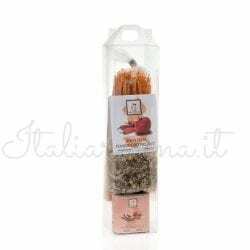 ReRegalo works with a high quality selection of products, a handcrafted basket or handcraft composition and a dedicated packaging designed to make more special and unique the gift. 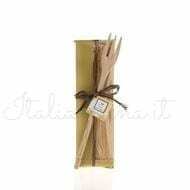 These are the elements of ReRegalo’s hampers. 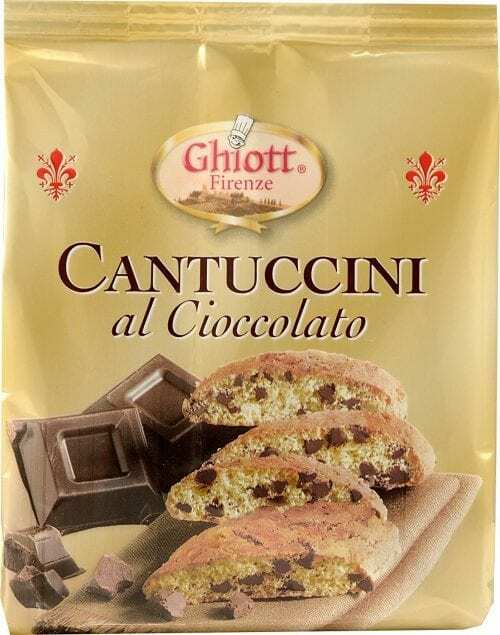 that create astonishment in the eyes of people who receive one of those baskets.